Escaped from the family for a fleeting visit to Pop Shop Houston at Silver Street Studios on June 13th. Obviously I was scoping out crochet for sale! 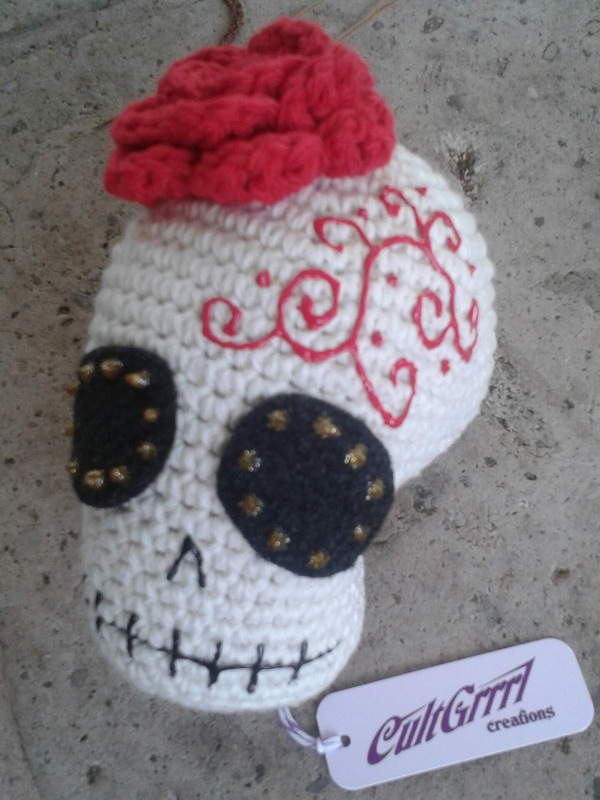 Mostly excited about meeting Jess aka @cultgrrrl http://www.cultgrrrl.com She designs amazingly edgy pieces and I couldn't resist this day of the dead skull. 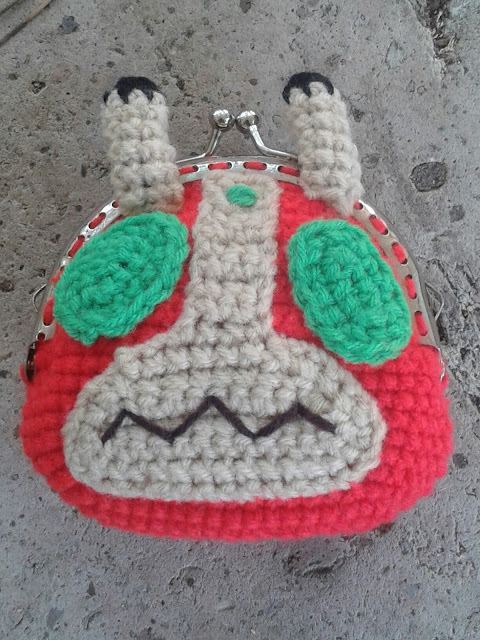 She told me her grandmother taught her to crochet and complained that her tension was too tight but then Jess found her calling with amigurumi - fantastic! I also spotted a huge display of crochet mounted taxidermy critters by http://www.nothingbutapigeon.com but the stand was unmanned so walked on by....next time! There is another Pop Shop scheduled for November.